Fortunately this time around, we have much more mature release compared to Windows 8—there’s no missing start menu, and the confusing divide between “Metro” and desktop apps is history. According to Microsoft, Windows 10 will be the last “version” of Windows. Subsequent updates will be delivered periodically to users, so we won’t need to wait two or three years to see improvements. This isn’t all that different from what we at Cakewalk have adopted with our “rolling updates” model; we’ve seen how this has led to a proliferation of new features and enhancements along with ever-improving stability, and we hope Windows users will see similar benefits. To make Windows 10 more attractive to customers and get them onto the new platform, it’s even being offered free to existing Windows 7 and 8 users. Microsoft’s new management under Satya Nadella has led to some positive changes in how Microsoft communicates with its partners. Over the last few years we’ve seen a renewed interest in our audio domain compared to prior years. It’s encouraging to see some additions to Windows 10 that were influenced directly by industry feedback, including concerns about low latency audio and MIDI problems such as jitter and multiclient support. 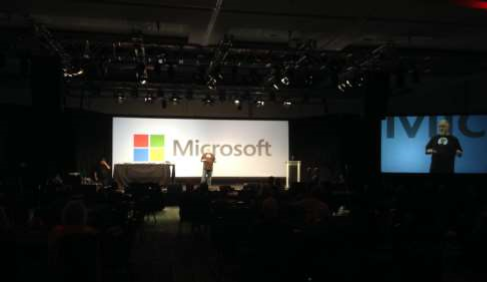 Even at trade shows and other industry events there has been a renewed presence from Microsoft. These are positive steps—it looks like Microsoft has put Windows 8 behind them, and are making a fresh start that’s more responsive to consumer needs. 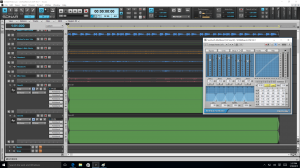 Cakewalk SONAR has always been one of the leading digital audio workstation (DAW) vendors at the forefront of Windows development, and we’ve been following the music production for Windows 10 development cycle from very early on. 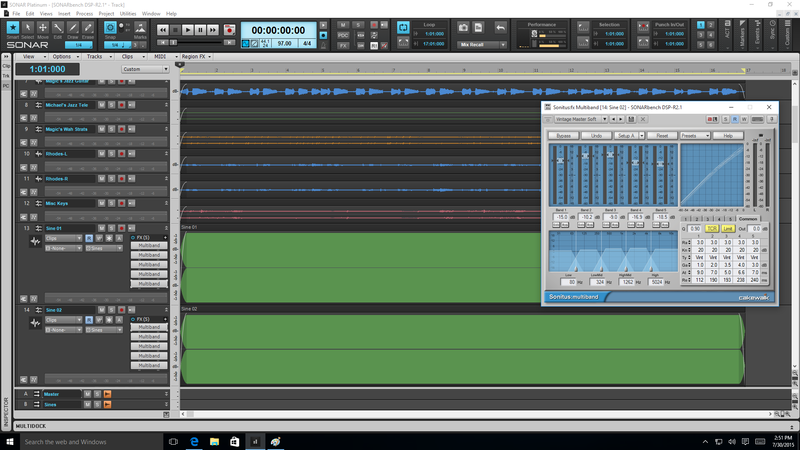 I spoke to some Microsoft contacts, and got some under the hood details on some of the Windows 10 features that are relevant to music production applications like SONAR, as well as a few areas of general interest. There have been many significant improvements toward improving low latency performance in the Windows stack when using WASAPI (shared mode). The Windows audio stack now has as much as 15 msec lower round trip latency by default in WASAPI. Additionally, applications using WASAPI shared mode can now explicitly specify a lower buffer size to be used instead of the default system buffer size. Drivers can also now report a minimum buffer size to allow the applications to select a suitable buffer size. Microsoft claims that one can now expect “near ASIO performance” when using WASAPI shared mode. This is a big accomplishment since in the past WASAPI shared mode had very high latencies, close to 50 ms (similar to MME drivers). Applications like SONAR that use kernel streaming or ASIO already communicate at a lower level that bypasses the Windows audio engine, so in theory the lower latency advancements in Windows 10 will not allow for lower latencies than previous versions unless you were using the Windows audio engine. This is great news, because it could make a big difference to low-latency streaming apps like SONAR. Drivers and applications can “opt in” to isolate and dedicate low latency audio processing to a single CPU core, which can minimize the effect of DPC latency spiking from networking, Bluetooth, or other DPC spiking processes by preventing interruptions to audio processing. Behind the scenes this is done using interrupt steering and thread affinity. This is an opt-in feature at the WASAPI level where an app has to identify the threads that need to belong to this isolated core. This feature looks promising, particularly because Microsoft says they’re looking to expand this to multi-core scenarios that relate to DAWs like SONAR. Prior to Windows 10, MIDI was primarily accessible via the older MME MIDI APIs or the less common DirectMusic APIs. These APIs were desktop-only and not available to universal apps, which is Microsoft’s new programming model. Music production for Windows 10 has new MIDI APIs that are suitable to universal applications, so they’re applicable to Windows 10-based desktops, phones, tablets, etc. The API also allows for multi-client access to MIDI devices, and has improved jitter-free performance. AudioGraph is a high level API that sits on top of WASAPI and allows simplified building of audio applications without getting into all the complexity of WASAPI. While not necessarily applicable to DAW’s which require more fine grained control, this can be useful to build simpler applications that require low latency audio support in Windows 10. Windows 10 now has a hardware latency measurement tool that’s part of the Windows HLK package, and which you can download to measure round-trip latency. Windows 10 has native support for these two codecs. ALAC (Apple Lossless Audio Codec) should allow better interoperability with Apple devices, while FLAC uses a lossless compression algorithm to provide a better quality (and free) alternative to MP3. Hopefully, native support in Windows might steer more people into using FLAC instead of MP3. Unlike Windows 8 where Windows Store applications always ran full screen, in Win 10 they can now run as windows side-by-side along desktop applications. This is a much smoother experience to the end user when you want to use both application types simultaneously—if this was Apple, it would be like running iOS apps alongside your desktop apps. Ported over from Windows Phone, Windows 10 now has built-in voice search capabilities—a first for a desktop OS—that lets you perform (for example) web or desktop searches using you, voice. Its impressive how good the voice recognition in Cortana is. I’ve had very few problems with even long sentences from across the room. And yes it does understand “Hi Cortana, open SONAR”! One of lesser known but great improvements in music production for Windows 10 is its smaller memory footprint compared to earlier OS’s and the fact that it does smart compression. This reclaimed memory is now available to other applications. 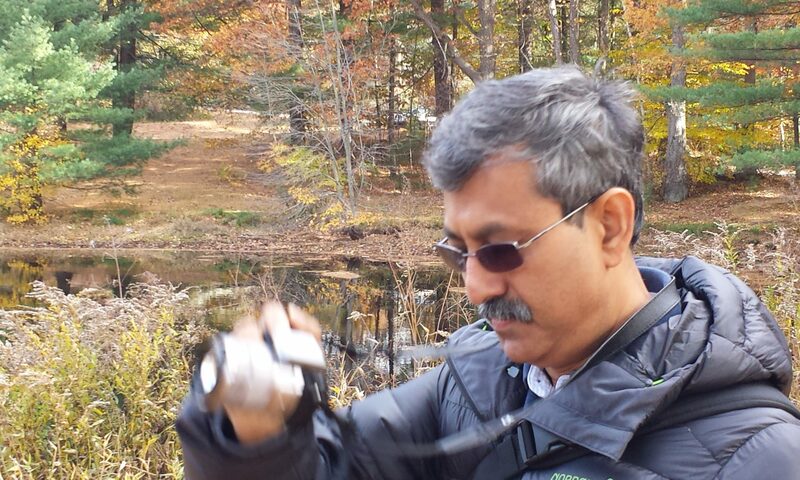 Check out this link from the Windows team to see how this was achieved. Its interesting that Microsoft’s their work on making Windows 10 scale to mobile platforms benefits the desktop OS as well. Additionally Windows 10 boots much faster due to a combination of optimization techniques. These improvements can make Windows 10 actually work better on even older PC’s as reported in this article that recommends Windows 10. There is a somewhat controversial change to how Windows update works in Windows 10. For Windows 10 Home users, there is no way to turn off automatic updates and they will be mandatory. Windows 10 Pro users will have a little flexibility; they’ll be able to switch from the mainstream release to the “Current Branch for Business (CBB).” This will give some control over when updates are deployed. While the CBB will essentially track the consumer release, it will allow feature updates to be held back for some amount of time so you can prepare for the update. Windows 10 Enterprise is the only OS for which users will be able to actually turn off Windows updates. By opting for the Long Term Servicing (LTS) branch, Enterprise users will be able to defer feature updates for years, electing to receive only security fixes during that time. Many of our users have been running Windows 10 preview builds with SONAR Platinum for some time now and have reported no problems. At Cakewalk, the Gloucester release of SONAR is the build that we have validated officially with Windows 10. We ran several of our validation tests and tested all our installers and inbox plug-ins for this release. We have also run the Windows 10 App certification on SONAR. We’re happy to report that everything works great, and SONAR passes Windows 10 certification with flying colors. Additionally, we noted some performance gains when running SONAR with Windows 10. The common impression from those doing the evaluations felt that in general, Windows 10 felt snappier compared to Windows 8. The user interface, spotlight searches, opening menus, loading programs and other common operations all appeared to be faster and more fluid. Switching among desktop applications and Windows Store apps was also much more natural. In addition to testing Windows 10 compatibility with SONAR, we ran some simple benchmarks to compare performance of SONAR Platinum Foxboro on the same system running Windows 8.1 and Windows 10. It’s always interesting to look at benchmarks since you sometimes see results you wouldn’t expect. 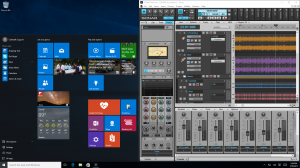 The next article has benchmarks done by Dean Capper, but independent PC integrators PC Audio Labs, one of the major custom DAW integrators with a lot of experience building and testing DAW hardware, has done a pretty thorough Windows 10 benchmark. The PCAudioLabs benchmark results can be found here: Windows 10 For Pro Audio. PCAudioLabs test was even featured in Microsoft’s Future of Audio Keynote on Windows 10, presented by Pete Brown of Microsoft. You can see the benchmark presentation starting around 22:16. 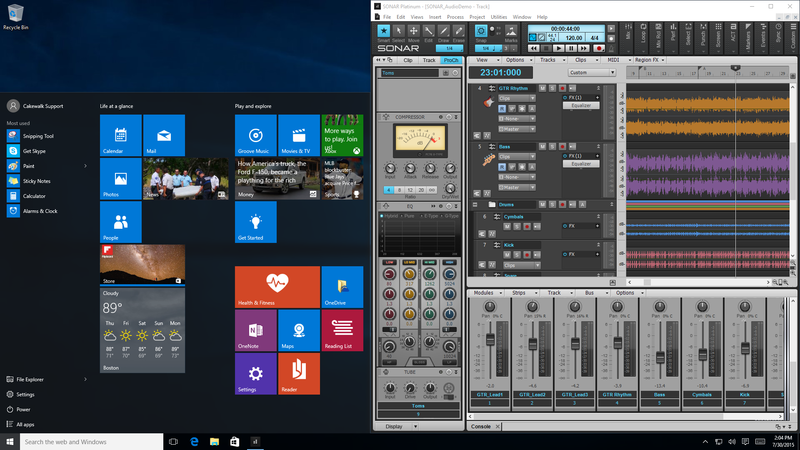 It’s notable Microsoft is now listening to DAW system builders for feedback on Windows 10 performance. Their benchmarks found notable improvements in low latency performance when running SONAR Platinum on Windows 10. Their test also mentioned improvements in CPU performance as well as well as disk performance in music production for Windows 10. Although SONAR has tested 100% compatible with Windows 10, it’s important to check whether your audio interfaces and other hardware are compatible with Windows 10 before upgrading. Microsoft has a good track record of supporting older applications and drivers, and this continues with Windows 10. Their upgrade process will even point out any known incompatibilities. However, we highly recommend that you ensure your system is up to date with the latest drivers for all your hardware. Many audio interface vendors have already published Windows 10 validated drivers in advance; if available, you should use those. Many drivers may work without modification, but it’s a good idea to check with the vendor first before taking the plunge and updating to Windows 10. Perhaps even more exciting than what’s in Windows 10 today involve plans for its future. In the Windows 10 presentation at A3E, Microsoft tantalized us with other features under considertion: Thunderbolt 3, USB-C, Bluetooth MIDI, MIDI routing, audio aggregation, and more. With the continuous integration model it’s likely that we will see these features rolled out sooner rather than later. For example, USB2 audio class driver support didn’t make the Windows 10 release, but hopefully we’ll see this soon. Microsoft has shown that it’s taking user feedback seriously with Windows 10. There’s even a portal where you can submit and vote on feature requests for Windows so if you have a suggestion to improve Windows for Audio Production, go to the Uservoice Feedback Site to submit your request. Paul Thurrott’s site compiles a list of the top 10 feature requests. Windows 10 is a mature version of Windows that might just be the best OS release from Microsoft, building on the performance of Windows 8.1 while addressing many of its limitations. It’s great to see features in there that benefit both audio professionals and consumers. The overall user experience is smoother and initial benchmarks show that it performs equally or better than Windows 8. The new continuous integration model, Microsoft’s renewed attention to the audio industry and the fact that it’s a free update from Windows 7 and 8, should make this a great update for most DAW users.